Fantastic, clean move-in ready 2-bedroom Condo ready for February 1-2019. First floor unit 2 bedrooms, 1 bath, open kitchen, solid surface flooring, brand new microwave and sliding glass door to back yard. Assigned parking, On-site laundry and beautiful in-ground community pool. Both a 30 second walk from rear patio of condo. This upgrade and spacious condo has a year lease in a community that boasts mature trees in a super park like setting from the rear view of the condo. Additionally, the entire grounds are wonderful in such a natural setting. 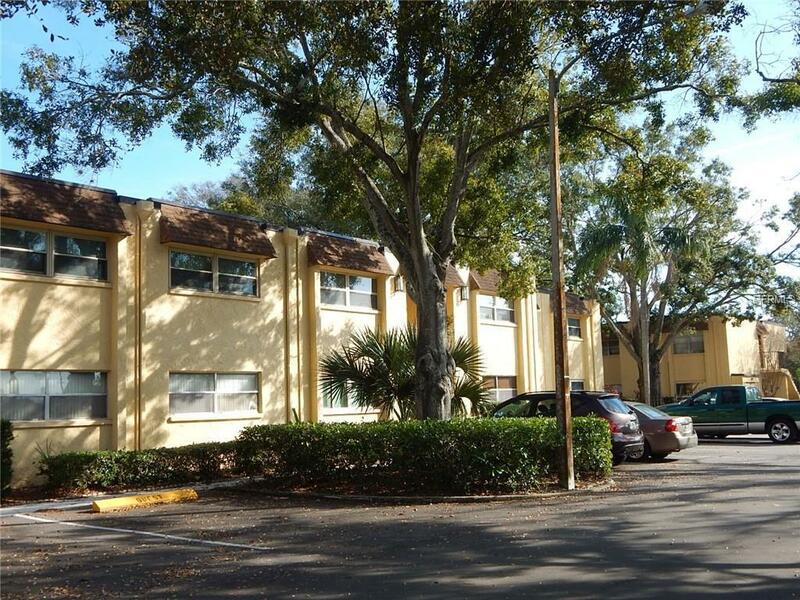 The Complex is located in North St. Petersburg, set off on quiet streets, yet an easy commute to any main thoroughfare interstate, shopping or other.